If you know anything about Berlin, it’s that it’s hip. A culture capital. There’s a mess of reasons why this is the case, but ultimately, we think it boils down to its distinct place through history (including being left untouched by Romans due to fear of Germanic “barbarians,” its baroque facelift courtesy of Prussian emperor Friedrich II, and its artistic eminence during the jazz age). A city of immigrants, wrenched apart through war, pieced back together by artists, weirdos, newcomers. While some of those visiting Berlin do so to experience its fascinating—and often horrifying—history, and others try to enmesh themselves in its effortless je ne sais quoi, we find the best tack is to do both, as one informs the other in a very immediate way. Your itinerary upon arrival depends on a very elemental concern: summer vs. winter. Summer finds Berliners sprawling out in the city’s ample green space, sipping beers and soaking up the balmy summer sun. However, the city gets dark very early in the winter (think, 3:30-4:00 pm), lending itself to a very different type of sightseeing. If you touch down in winter, walk around the Brandenburg Gate, Reichstag, and Potsdamer Platz in the central sightseeing area, which we think is especially beautifully lit in the evening. Once you’ve worked up an appetite, sample some local cuisine, either at an upscale eatery on or around Friedrichstrasse. Our current favorites are Crackers, boasting stellar nouveau French fare with weekend DJ sets befitting its previous life as a nightclub, or Nobelhart & Schmutzig, a Michelin starred eatery heavily influenced by contemporary Nordic cuisine like Noma. Alternatively, those looking for a more unassuming experience can eat like a true Berliner at a local Döner stand. Then, finish with a concoction at a cocktail bar or a simple Pils (pilsner beer) at a local Kneipe (bar). 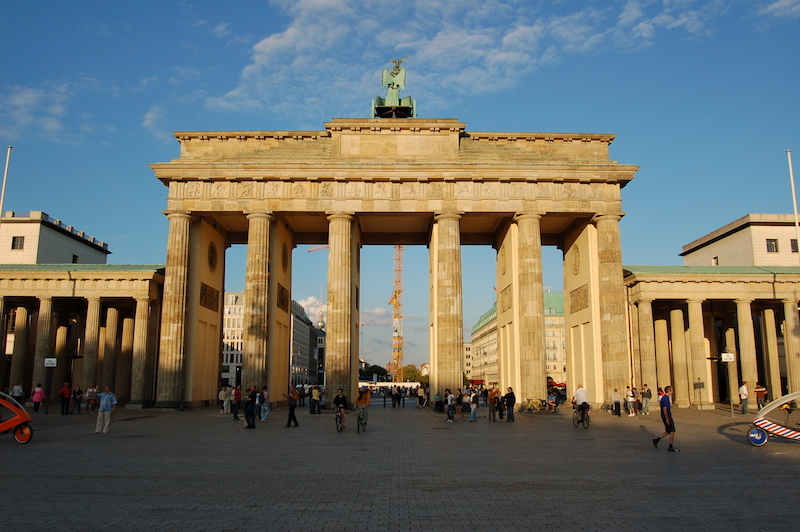 Meanwhile, if you happen to touch down during summer, stroll through the Brandenburg Gate and into the Tiergarten. Then, loop back out of the park, get on the train at Potsdamer Platz, and take the U2 line of the underground to Prater Biergarten for a beer and warm pretzel (and German cuisine for dinner if you like) in the grounds of an historic beer garden, famous during the DDRera. 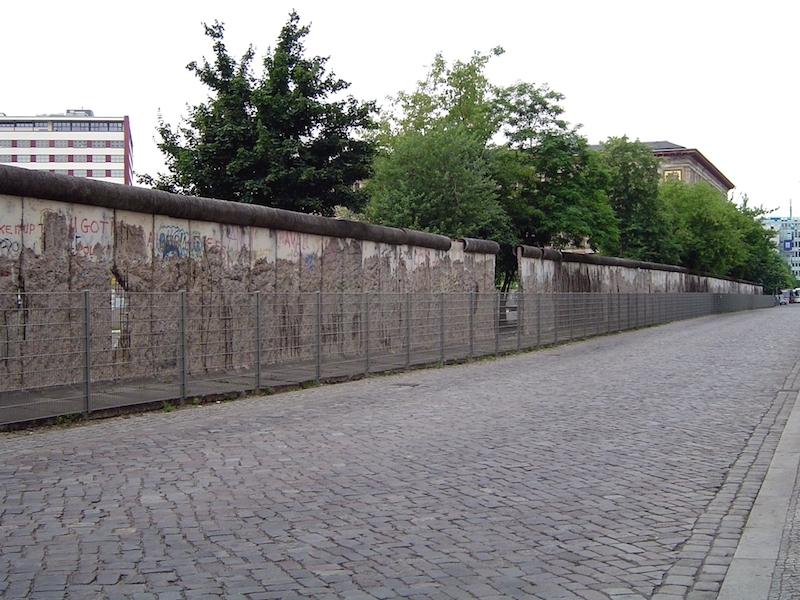 If you’d like to get a better grasp of what makes Berlin tick, we’d suggest taking a Berlin Wall tour first thing in the morning. This period of history is so fundamentally important for the city; few other places in the world have experienced division of this kind, and as such, every time you dig further into the facts and stories surrounding this deeply contentious time in Berlin’s history, it becomes more compelling. We think it’s impossible to understand contemporary Berlin without first understanding this era. 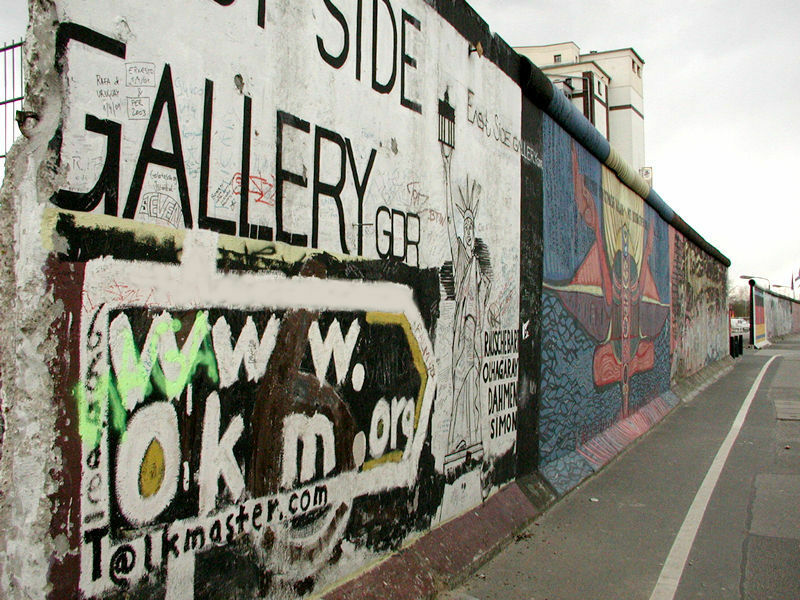 However, the same cannot be said about the East Side Gallery. If you’re short on time while visiting Berlin, we’d suggest giving it a miss. Lately scaffolding has obscured nearly the entire length of the Wall, so many the murals are blocked. Plus, they’ve been redone since they were originally painted, and in our opinion, the murals have lost their original spark— something was lost in translation when they were replicated. On top of all of this, the Gallery isn’t a clear historical representation of the Wall, having been painted in 1990. Head down to Kreuzberg for lunch and try some international cuisine. Thanks to a steady stream of immigration over the past 50 years (one of the defining characteristics of the city), Turkish food is top-notch in Berlin. Walk the neighborhood’s many canals, seek out the best street art, poke into the locally-owned vintage shops and cafés along the way (or, if you’d prefer a bit more guidance, do so on a Kreuzberg Tour). Then, swing down to the old airfield at Tempelhof and stroll the disused runways, finishing with casual eats in Neukölln and a sundowner at Klunkerkranich, a slap-dash-style open air bar and event space on the roof of a shopping mall. Head to Charlottenburg for lunch. Kantstrasse is home to excellent Asian food (Lo Men’s Noodle House, Dao,Selig.Berlin) and great burgers (emphatically, The Butcher). Pop into the Käthe Kollwitz Museum to see works by one of the definitive Berlin sculptors/artists of the 20th century, then recharge for the rest of the day with coffee at the Literaturhaus. 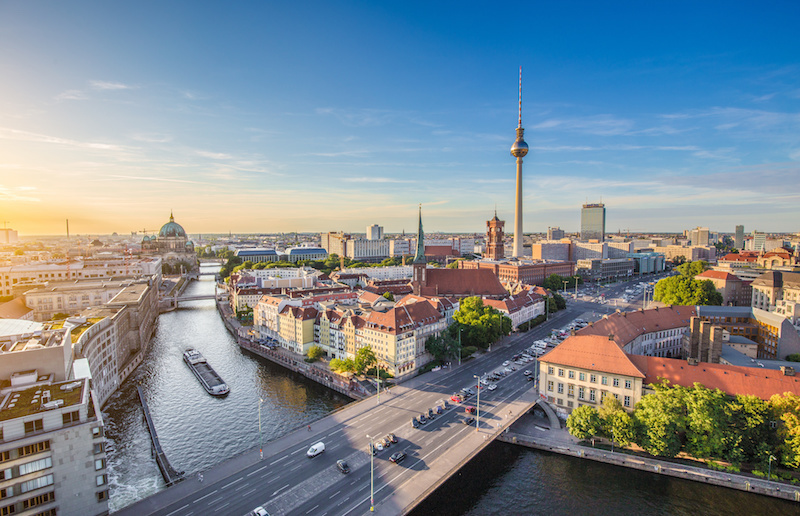 After, saunter down the promenade of the Kurfürstendamm—Berlin’s most famous and popular shopping boulevard—and do some shopping at the grand institution that is the KaDeWe department store or at up-and-comer concept mall Bikini Berlin. Finish with Israeli food at Neni in the 25hours Hotel, followed by a digestif on the balcony of Monkey Bar, a chic spot in the same building from which one can look out across the city (or down into the ape enclosure of the Berlin Zoo). To know Berlin history, sadly, is to know some of the darker points in human history. We suggest spending the morning of your last day taking a Jewish Berlin tour, not just to develop a deeper understanding of the immense suffering that happened here, but to better appreciate the previous centuries of contributions Jews made to Berlin’s culture. 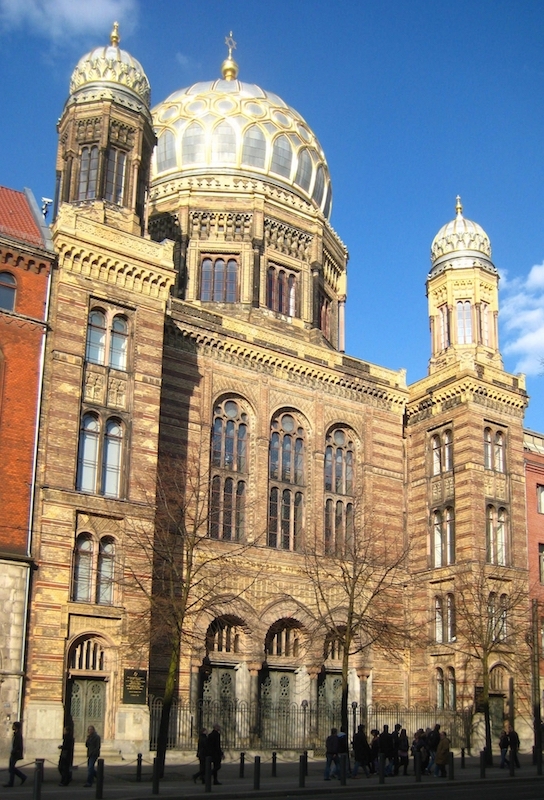 Stroll around the hidden courtyards of the Scheunenviertel (Barn Quarter), see the shining golden dome of the Neue Synagoge, and pay a visit to the Memorial to the Murdered Jews of Europe. Then, fill your last hour or two by walking down Unter den Linden, past Museumsinsel and the Dom, spotting the construction site that will soon reveal the rebuilt Prussian palace that was dismantled after WWII, through Bebelsplatz and Gendarmenmarkt— what remains of Berlin’s historical heart. While strolling through historic Berlin, one can’t help but appreciate the layers coexisting within the city. You can stand in one spot and it will have had significance in multiple periods of history, all there in layers, some destroyed, others recreated, other miraculously survived. That’s the identity of Berlin—evolving, more than what appears on the surface, organisms managing to thrive in odd environments.